Welcome to Gotheborg.com and more than 2,500 FREE help and information pages on Antique Chinese and Japanese porcelain. More then 1,500 translated and dated porcelain marks. An extensive glossary with 830 entries explaining Chinese and Japanese Antique Pottery and Porcelain terms. 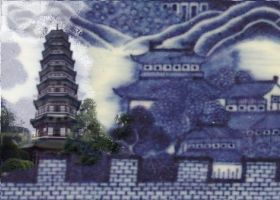 Important classic articles and documents on Chinese porcelain history. New and old travelogues to important places in ceramic history. Welcome to search and read through hundreds of Question & Answer pages. If you need personal help, send your question directly to me. If you are a collector, welcome to join our Antique Chinese and Japanese Porcelain Collectors' Discussion Board. Specialist or beginners equally welcome. Sign Up here, and start posting your own questions or do your own research among our 300,000+ old posts and pictures - membership required, from $9.95 per month. And much more. Have fun, and if you get stuck you are most welcome to contact me, for a quick email answer. Search single topic pages in the free public part of Gotheborg.com here. For more precise results, add more search terms. Featuring these and 1,550 more translated and dated Chinese and Japanese Porcelain Marks. Go directly to Japanese marks or Chinese marks. Our Discussion Board is a world class resource for experienced collectors to meet other with similar interest to discuss our own collections and new aquisitions. We also take an active interest in teaching beginner collectors and trying to pass on hard to get practical experience to the next generation. The road to knowledge should be traveled in good company. Global and worldwide group of friends and a place where we all are equal but in different stages of learning. Look for your favorite topics here. Expert moderated, Post your own questions - unlimited participation, no spam, no advertising, no Google indexing, no tracking. Do your own research among our 300,000+ old posts and pictures. Probably the largest research library with authenticated antique Japanese and Chinese porcelain in the world. Specialists or beginners equally welcome. Subscribe at $9.95 USD per month, or a full year at only $29 USD. Antique Chinese and Japanese Porcelain Dictionary and Glossary of Terms, explained and illustrated. Visit Glossary. Large Q&A Porcelain Info Section with pictures of Chinese and Japanese porcelains, popular styles, shapes and decorations. Please see Ask a Question on how to summit your own questions. For collectors with a wide interest in learning and discussing Chinese and Japanese ceramics, please welcome to join our Discussion Board. An ever growing list of recommended books on antique Japanese and Chinese Pottery and Porcelain. There are many good books out there. This section will just show a few recent and a few classic books that in my view deserve a place in any collector's library. Trade, ships, wrecks, ceramics and Marine Archaeology. On-going and past. 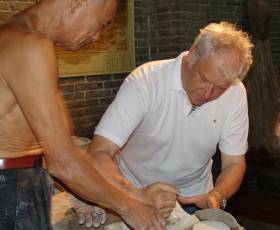 During September to December 2005 a Swedish sponsored exhibition of Chinese pottery and porcelain was held at the Wumen Exhibition Hall in the Forbidden City (Old Palace - Gugong - Museum) in Beijing. The exhibition highlighted the long history of peaceful relations and cultural exchange between Sweden and China, from J G Anderssons discovering the Chinas Neolithic past to The East Indiaman Gotheborg ship excavation, rebuilding and new China voyage. The exhibition focus on fairly ordinary 18th century Chinese porcelain exported to the West but also highlight Neolithic pottery and some Imperial wares, from a rare example of Ru ware in the Röhss Museum Collection to Chinese Armorial porcelain and special porcelain made to order of the Swedish East India Company. Welcome to browse the on-line version of the catalog here. The Belitung (Tang or Batu Hitam) shipwreck sank on its way back from China around 830 AD. The ship contained untold treasures of gold and silver and the first Chinese underglaze blue and white dish known to mankind. A large proportion of the most important finds were exhibited at the Asian Civilisation's Museum in Singapore, in 2016. Only a few yards from this spot at the river banks of the Chang River, flowing through the city of Jingdezhen, the Chinese Imperial kiln was built during the Yuan dynasty. During 700 years this factory produced the best porcelain in the world and became the porcelain factory of the entire world well into the 18th century. During the centuries all kinds of Chinese porcelain shards and kiln debris has been dumped and discarded as the city grew. So much in fact that the city of Jingdezhen are now said to rest on a thick layer of porcelan shards, 30 feet deep or more in places, we were told. 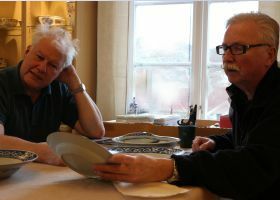 In 1992 I was invited invited to take part in a study expedition to visit the excavations of the former Imperial Porcelain Kiln, together with Professor Bo Gyllensvärd and two friends. Here is my diary and some of the results and photos from the visit. Text & Photo © Jan-Erik Nilsson. During 2006 I had the pleasure to, together with the Gotheborg III Ship project friends and co-founders Anders and Berit Wästfelt, visit Guangzhou and also take the opportunity to visit the not much visited but very important city of Fushan and the Nanfeng kilns in Shiwan. The staple town for tea and porcelain enamels during the 18th century. 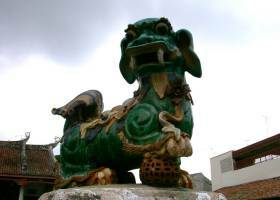 This is the origin of the old Kwangtung wares and the heavily glazed tiles, pots and masterly sculpted figures. Well known from late Ming, popular during Qing and very much alive until today. Welcome to visit Shiwan with me. The 17th of July 2006 the rebuilt replica of the first 'East Indiaman Götheborg' arrived at Boca Tigris in the Pearl River delta outside Canton, to later move up to the old anchorage at 'Whampoa', to come to rest opposite the White Swan Hotel in the center of today's Guangzhou (Canton). During the last part of the trip HRH the King and Queen of Sweden joined the crew on-board. The entire project of recreating an 18th century Swedish East Indiaman and sending her to China again and back was all started as a private project by a small group of enthusiastic professionals, based on the excavation of the original East Indiaman Gotheborg. Since I was one of them, here is my story on the [ PROJECT ] and the [ ARRIVAL IN GUANGZHOU ]. 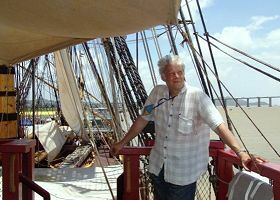 In July 2006 the rebuilt Swedish East Indiaman 'Gotheborg' Ship finally arrived in Guangzhou, China, or Canton as it was known as during the time of the Swedish East India trade. The dish in itself is from the end of the 18th century but portrays the inner part of the city, behind the European factories located at the river side. Click here to follow me to Malacca, Malaysia, in May 2002. 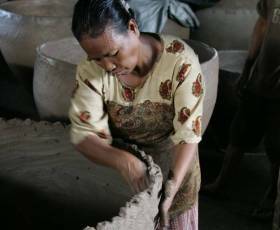 A while ago I visited Bali in an attempt to look for traces of the old Majapahit Kingdom. While the historic center of the Majapahit Kingdom had been located at the eastern end of the just nearby Java Island, Bali was to me of equal interest. Somewhat I also hoped that more of the old culture would had remained through the Buddhist and Hindu traditions, still predominant in Bali since much of the actual downfall of the Majapahit had been contemporary with Islam becoming the dominating belief on Java. What I found was a beautiful Island, fairly modern and very friendly, and a local Terracotta Pottery and Kiln, still very much functioning, putting out large terracotta Jardinières for flowers and garden decorations. In was interesting to see how these large pots were made from the mud up to finished lead glazed pots, taller than men. 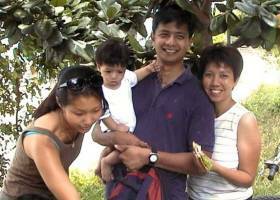 During March 3-12, 2001 I had the pleasure of visiting Singapore and Hong Kong. 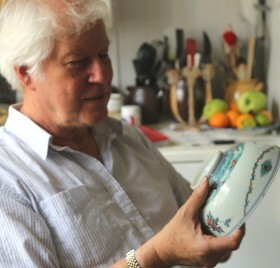 The purpose of the visit was to deepen my understanding of the Straits Chinese Porcelain and the related culture. I also wanted to study 19th and 20th century Chinese porcelain, products of less known "provincial" trade porcelain kilns in Southern China, and to get a first hand impression on the trade in antique Chinese porcelain fakes, to visit several important scholars and collectors in the area, to learn and to take part of their specific knowledge. Here is a short travel report to summarize some of my thoughts. In September 2001 I got an invitation to visit the base camp of Sten Sjöstrand's marine archaeological and salvage expedition in Malaysia. I did and I am back. After a much needed shower and some rest I put together the following report. I got to see piles of Si-Satchanalai (Sawankhalok district, Sukhothai) pieces, still in storage from the excavation of the Royal Nanhai 16th century cargo of Celadon ceramics - plus the very reason of my visit - a surface sample collection from the recently discovered 19th century and possibly "Straits Chinese" cargo. Now that can't be said to have been the case, but it was interesting anyway. 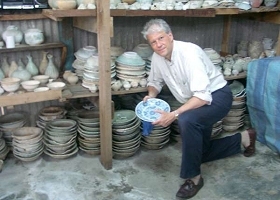 In November 1920, immediately after that the Chinese Empire had fallen and the Imperial Porcelain Factory had been turned into a private venture, Frank B. Lenz visited Jingdezhen. 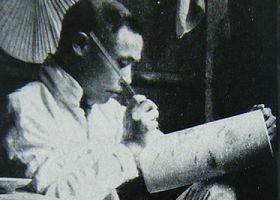 His report was published together with photos by the author, in the November 1920 issue of The National Geographic Magazine. This entire article is available here. "Twenty Illustrations of the Manufacture of Porcelain", by Tang Ying in 1743, Full text and modern photo illustrations. This is one of the most important original documents on the manufacturing of porcelain ever written. Tang Ying was the most famous of all superintendents of the Imperial Porcelain factory in Jingdezhen, active during 1736-1753. The translation was made by S. W. Bushell in 1899. Since the original pictures from 1743 are lost, I have illustrated the text with pictures - where applicable - taken by me, in 1991 and 1992, when I had the privilege of spending a few weeks in Jingdezhen together with Professor Bo Gyllensvärd where I could study the porcelain potteries as they were still running. 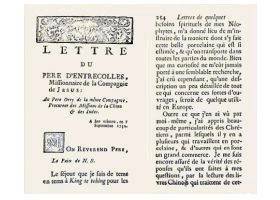 The Letters of Père d'Entrecolles (1664-1741) here for the first time translated, commented and available in full on-line. 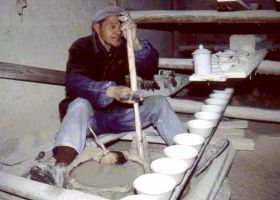 Being a French Jesuit missionary while spending some time in Jingdezhen Father d'Entrecolles got to know the porcelain industry of the early 18th century well. His reports was sent to and published in Europe in 1712 and 1722. These two Letters of Pere d'Entrecolle are the most important accounts we have on the Chinese porcelain manufacturing in the early Qing dynasty and is important to understand for the authentication of antique porcelain. Q&A Porcelain Info Section with pictures of Chinese and Japanese porcelains, popular styles, shapes and decorations. This is a sample selection of our replies to our visitors emailed questions. These plus our Dictionary and porcelain Marks section are all searchable via the Search box. Please see Ask a Question on how to submit your own questions. For collectors of antique Chinese and Japanese ceramics wanting a community of friends to talk to, welcome to join our Discussion Board. Brush pot, Green glazed "Wang Bing Rong"? Chinese Porcelain, when was is first made? Eggs, porcelain, marked "Satsuma" and "China"
Fake, modern Ming copy sold as "Song?" Gold, what did the color represent? Imari, Antique Chinese or later? 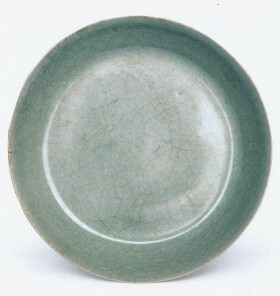 Kangxi (1662-1722) period dish or a Ming fake? Kangxi looking, broken vase from old Cathay? Limited-edition plates by "Zhao Huimin"
Marks, are all pieces with raised marks fakes? Martaban type or "Neolithic Period" trade pottery? Ming bowl, Kiln reject or both? Paste, how can one determine its quality? Rose Mandarin, early 20th century, Red Mansion decoration? Quality, What distinguishes a desirable Neolithic or Han piece from a run-of-the-mill one?